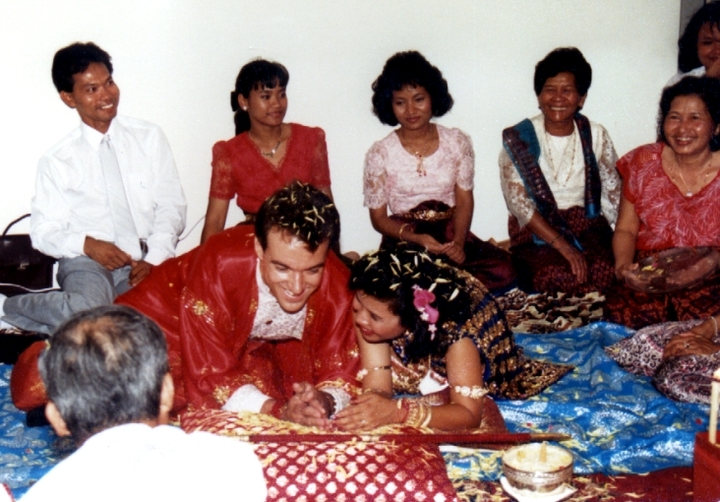 Em Bun came from a small village in southern Cambodia. 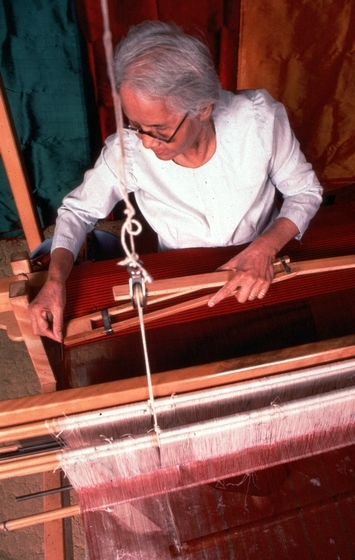 Her maternal ancestors had always been considered the village weavers. 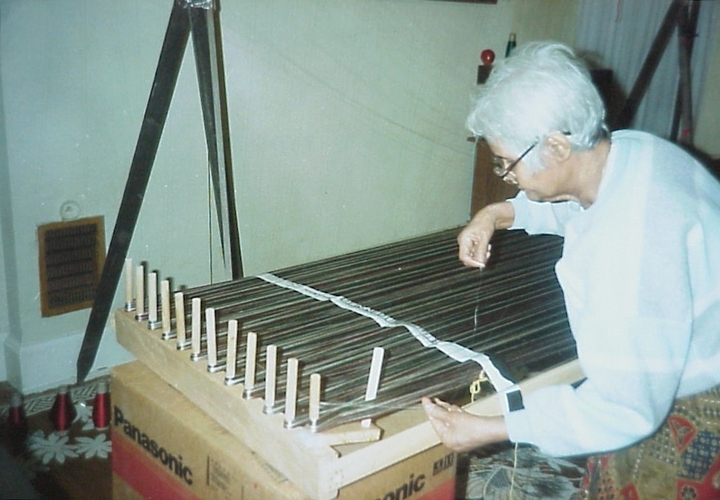 As a child, she watched her grandmother and mother weaving. 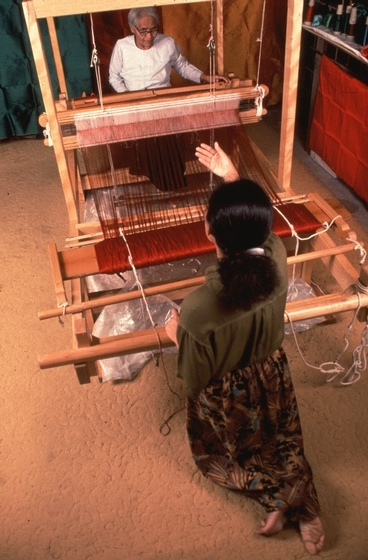 Em Bun learned to weave from her mother when she was about 10 years old. 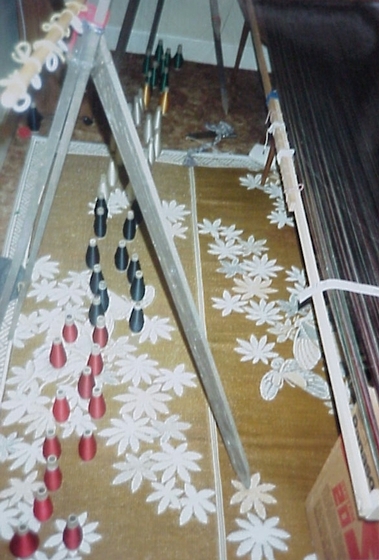 She also learned to process the silk from cocoons raised on the family's farmland. 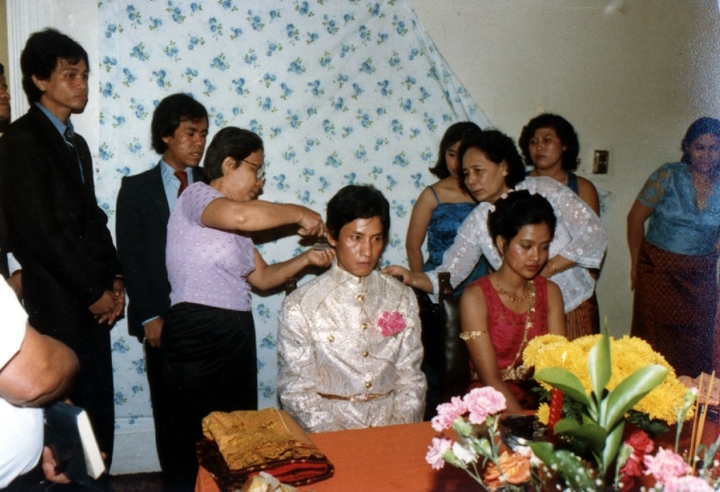 In 1979, Em Bun, along with her four daughters and two sons, fled Cambodia because of the Communist takeover. 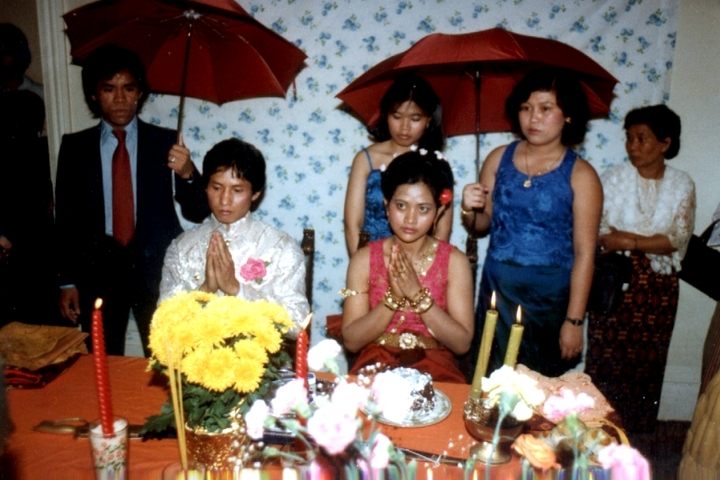 They escaped to refugee camps in Thailand and finally arrived in the United States on June 4, 1981. 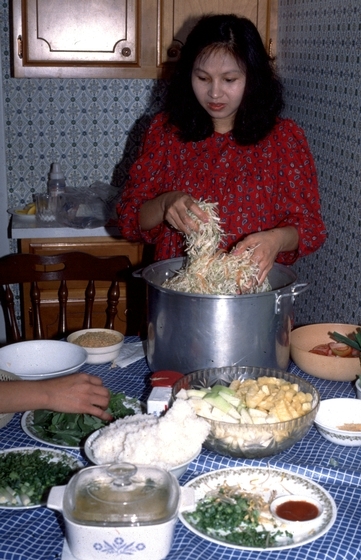 They settled in Harrisburg, Pennsylvania, because one of her sons was already living there. 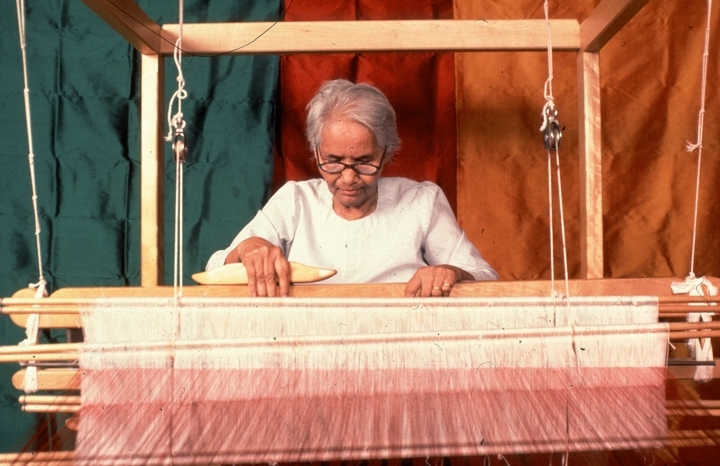 In the United States, it was difficult for Em Bun to continue her prestigious work as weaver, farmer and merchant. The language barrier inhibited her ability to make new friends, and she lapsed into isolation and depression. 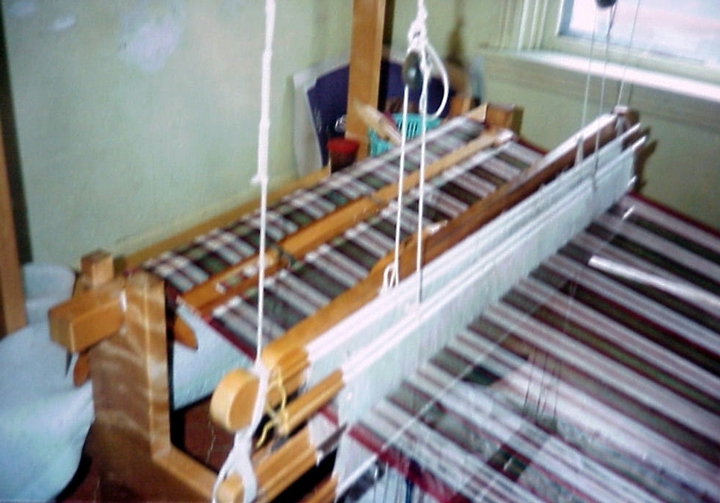 Then a group of Pennsylvania women provided her with a loom and weaving materials. Em Bun was truly happy for the first time in nine years, according to her children. 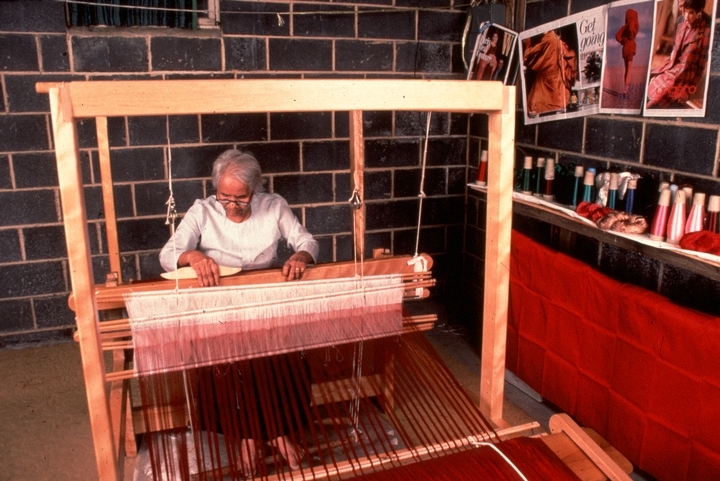 Subsequently, Em Bun was recognized as a master weaver by the Pennsylvania Council on the Arts. 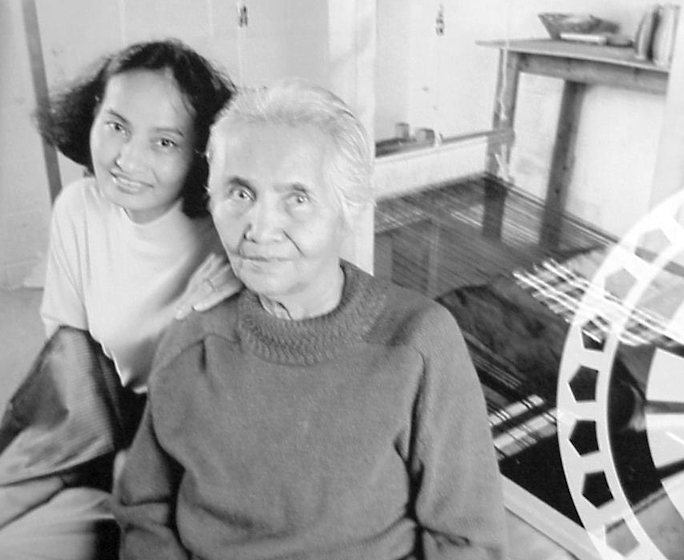 Grants from the council encouraged her daughters to study their mother's art. 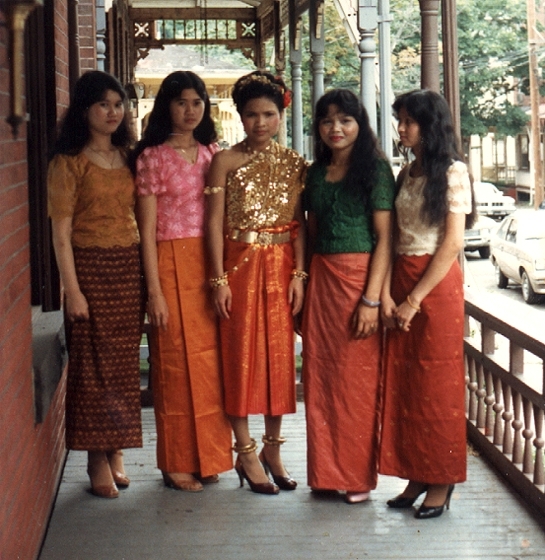 Family members wore Em Bun's bright pure silk hand-woven sarong skirts to Cambodian weddings and celebrations. 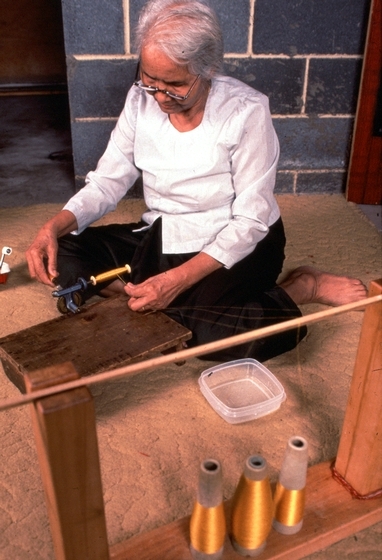 Cambodians up and down the East Coast placed their own orders for the 2-meter lengths of silk. 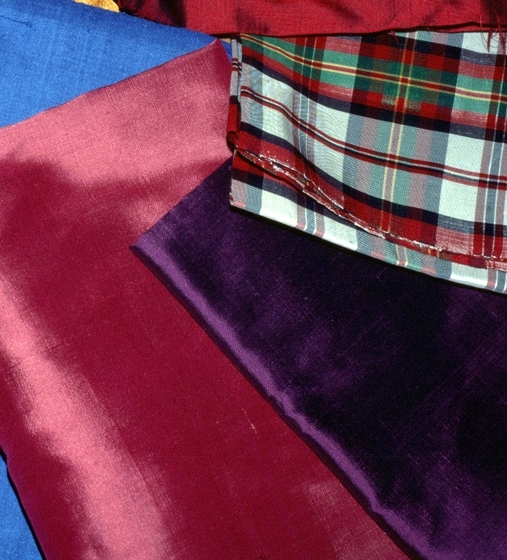 Em Bun used leftover silk from a tie factory in central Pennsylvania, anointing the materials as she wove with tapioca and coconut oil to provide the unparalleled luster and sheen of true Cambodian silk. 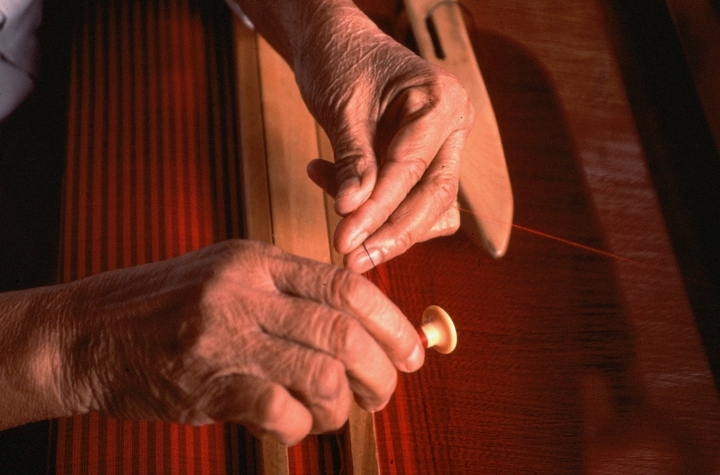 The subtlety of a master Cambodian weaver is expressed in the basic decisions of which colors enhance others. 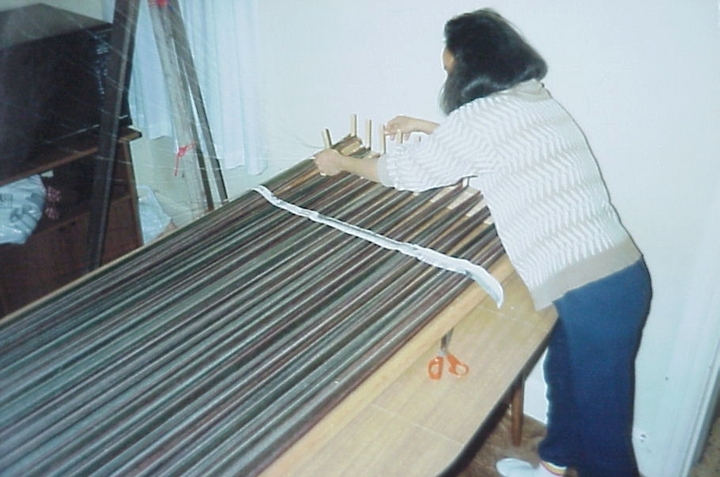 Although Em Bun's work appears to be mostly solid colors, close examination reveals that the warp threads differ from the weft threads that cross, producing unusual and shimmering hues. 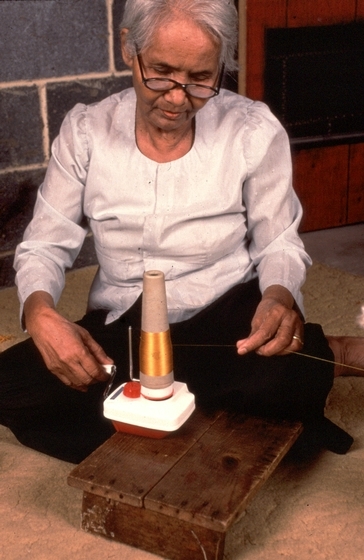 Em Bun's exquisite and sensitive work helped her continue to serve as the village weaver, though her village became nationwide. 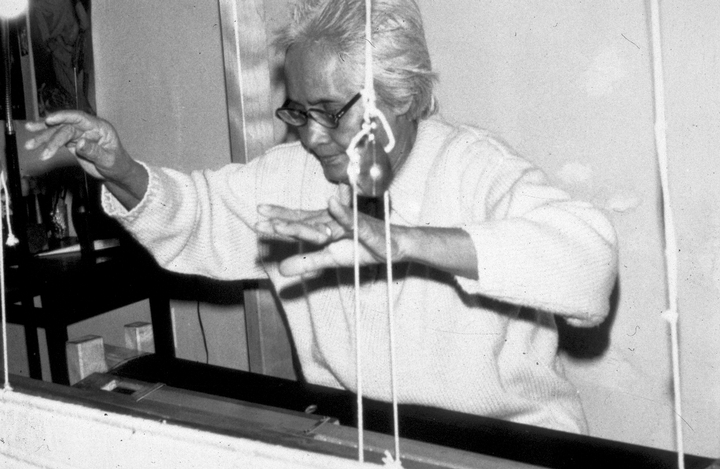 In addition to her children, she taught others her art. 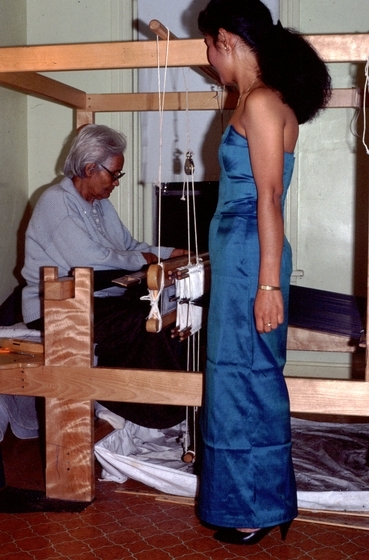 She gave demonstrations at the Textile Museum in Washington, D.C., and in her own community. 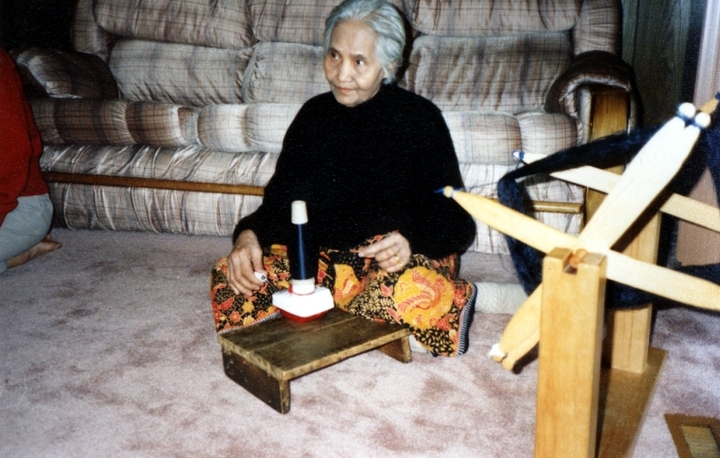 She helped fellow Cambodian immigrants maintain contact with their heritage and served as a catalyst for the preservation of Cambodian traditional arts in the United States. 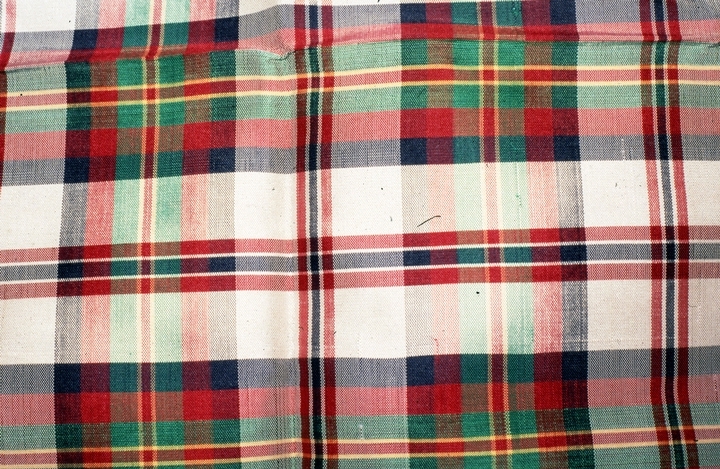 Krebs, Jeanette. 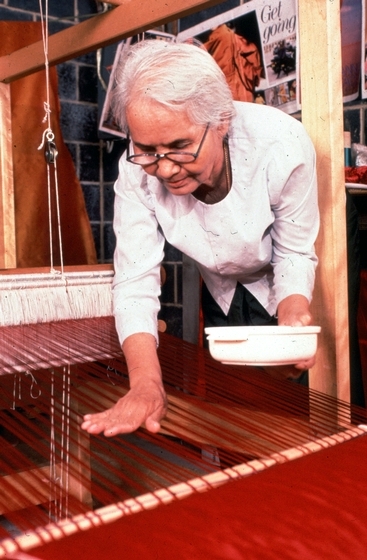 "Woman Weaves Anew." 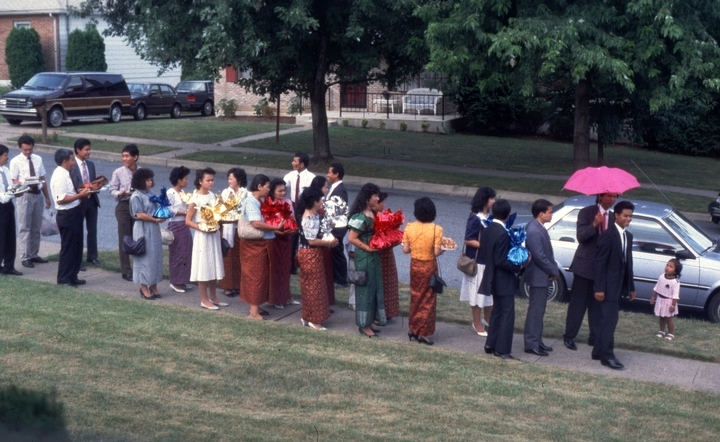 Patriot News (Harrisburg, Pa.) (June 19, 1990) 149: 146. 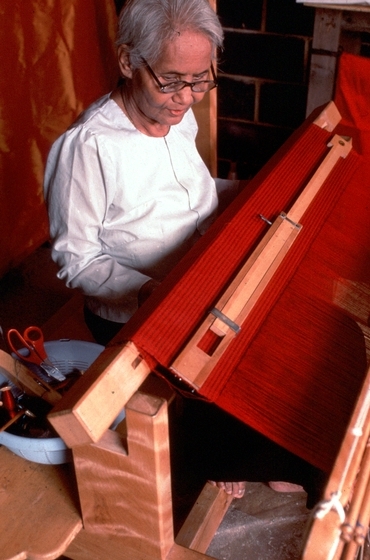 Rosenthal, Janice G. "Cambodian Silk Weaver." 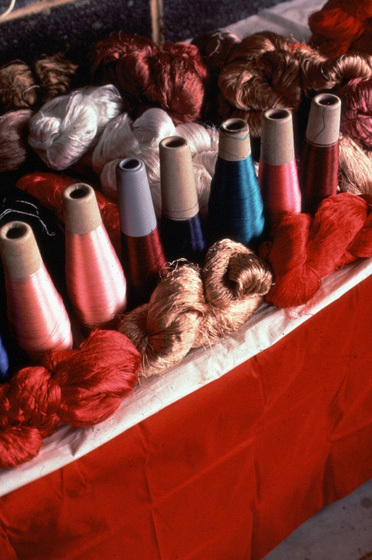 Threads Magazine (December 1990/January 1991) 32: 22. Tennesen, Michael. 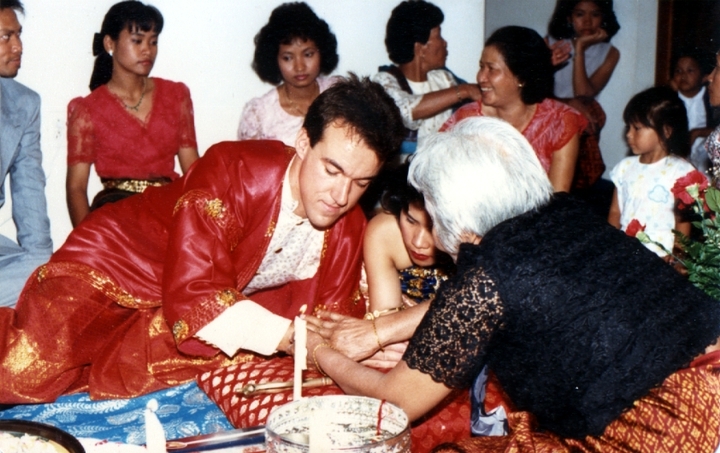 "Silk and Ceremony." Modern Maturity (October/November 1991): 17.